We are very pleased to present you with exceptional offers. 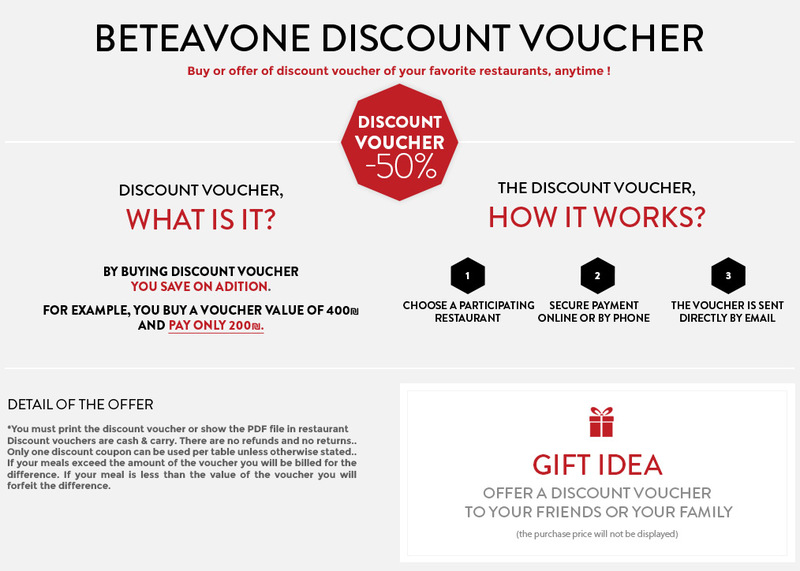 Special menus for two at promotional prices reserved for Beteavone customers that will allow you to enjoy a variety of gastronomic experiences. Simply present the offer of your choice on your mobile phone at the time of ordering. Why come to L’entrecôte ? 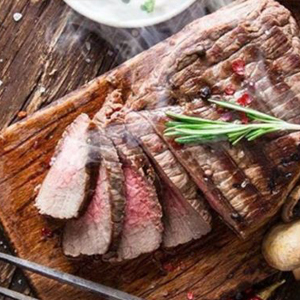 L’Entrecôte is one of the best kosher lemehadrin gourmet restaurants in Tel Aviv, located right near Rothschild Boulevard. Discover an exclusive cuisine in a Parisian brasserie setting, where quality meats are the highlight of the menu. L’Entrecote also offers a large variety of fish and vegetarian dishes. 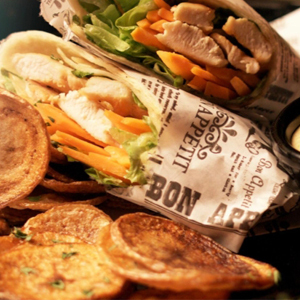 Allow yourself to be seduced by the restaurant’s warm and cozy atmosphere, and enjoy. Why come to this restaurant ? 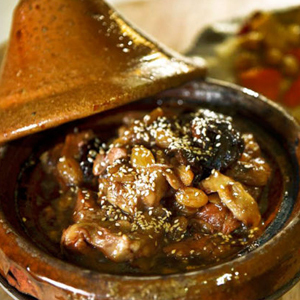 Darna is an authentic Moroccan restaurant located in the heart of Jerusalem, in a magnificent building dating back over 200 years. This luxurious restaurant preserves the culture of Moroccan hospitality, both for its culinary excellence and for its welcoming atmosphere. Andalucia is a new trendy cocktail and tapas bar with a sophisticated Mediterranean chef kitchen, influenced by the Spanish and North-African food scene. Located at the elegant Kikar HaMusica Complex, the bar spreads out over 3 floors, offering a chic and intimate environment. The first floor is dedicated to Spain and has a unique warm and eclectic design. The second floor is where you’ll find the cocktail bar, and the third floor offers a private room and beautiful balconies. The kitchen is run by Chef Shlomi Aton, who combines North-African delicacies with Spanish-Andalusian street food and classic bar snacks. 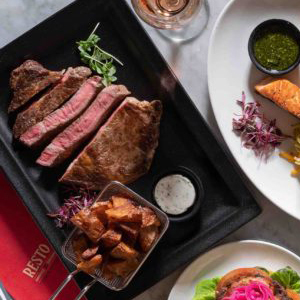 You’ll find red tuna tataki on sesame and smoked potatoes, chicken maschan in a mini pitta bread with fresh tahini and lemon pickles, empanadas filled with meat and raisins, a unique Peruvian ceviche, and many more surprises. You will also enjoy Andalucia’s cocktail menu. Because Favela is the new trendy Tapas Bar located in the coolest district of Tel Aviv, Florentin. Dishes are simple but always with fresh products and high quality ingredients. This restaurant is the perfect place to meet friends and share tapas while tasting exceptional wines! The charcuterie platter is a must coming directly from Panzer. And because the Happy Hours from 18 to 20 pm is a special time to enjoy good cocktail and good music in a unique place!